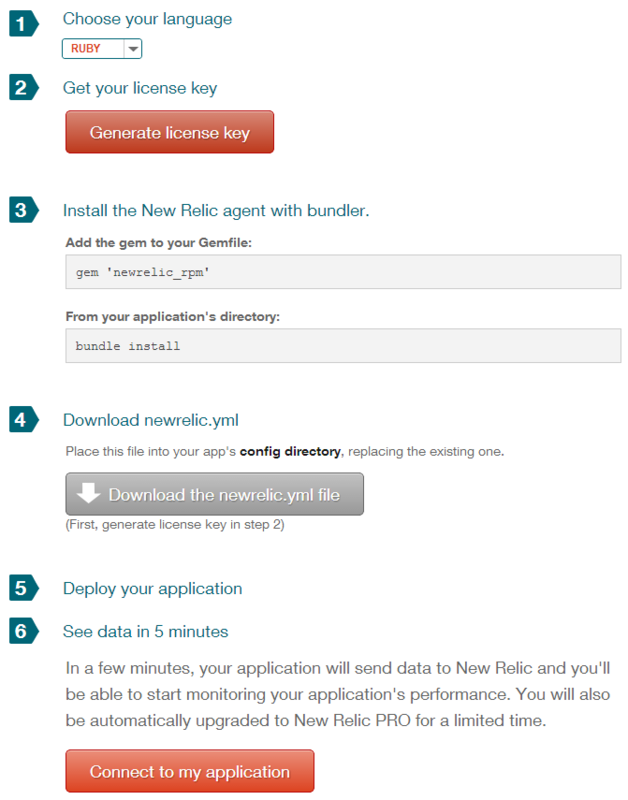 New Relic is an application, RUM (Real User Monitor) and Server Monitoring solution that enables you to measure the responsiveness of your application ensuring that it is running to level your users appreciate via their App Index Score. GitLab on the other hand is an opensource git repository application, like Github but you can host it yourself. Monitoring GitLab to ensure your commits are going through and the frontend is rendering in time for your developers can be difficult, luckily NewRelic has the option to monitor Ruby on Rails applications out of the box! Do you have a GitLab Omnibus install and are wondering how to do this? Check out my new post here! Now we need to install the NewRelic gem so it can actually monitor the GitLab install. Unfortunately because of how gem bundles work we can’t do this straight to the live production system, but we have to move it out and then move both of the Gemfile and Gemfile.lock files back into place. Note: The above command assumes you’re using MySQL and are not on AWS, if you are using either of the above please change the command to suit your setup. Awesome! We’ve now got the New Relic gem install in our Gemfile and Gemfile.lock which means we can copy them back over the top of our normal GitLab ones and make sure the git user owns them. Now we just need to run another bundle install as per GitLab’s install guide here. It’s also worth noting that you should, like above, ensure that the command is correct for your setup. Now we just need to restart GitLab and Nginx. Well done! You are now tracking the status of your GitLab application and should see results flying into New Relic in no time!